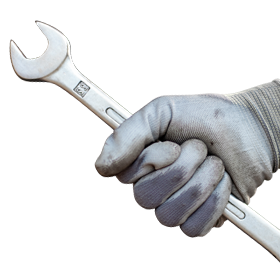 Are you driving a 1999-2002 7.3L Powerstroke or 2003-2007 6.0L Powerstroke and installing a High Pressure Oil Pressure Gauge? 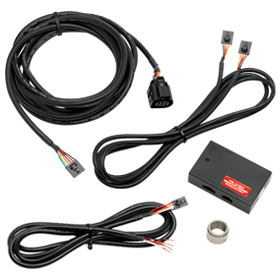 Maybe you want to complete an easy installation without splicing into your truck’s factory wires. 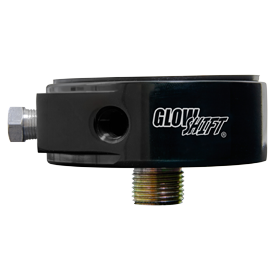 With GlowShift’s High Pressure Oil Pressure HPOP Gauge Wiring Harness, you can easily install directly to the injector control pressure sensor (ICP) for a clean installation with no wiring splicing. To install this harness, simply disconnect the ICP sensor harness connector and plug in the new HPOP pigtail harness into the ICP sensor and the sensor harness. Once the green and black wires from the gauge harness are connected to the matching wires on the HPOP harness, you’re all set and ready to use your HPOP gauge. It’s that easy! 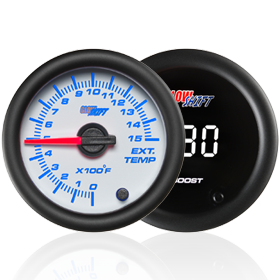 The HPOP Gauge is an essential accessory for monitoring the high pressure that enters into the oil pumps on your 6.0L or 7.3L Powerstroke. 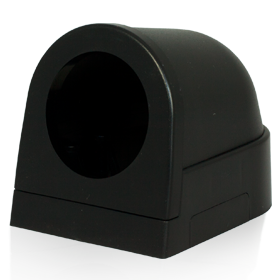 GlowShift’s HPOP Gauge is electronically driven and reads your Ford’s HPOP from 0 to 4,000 PSI with unrivaled accuracy. Monitoring the high pressure will help safeguard against starving the injectors of fuel which could result in fuel system failures. The HPOP Harness features a length of 6” with 9” sensor and ground lead wires. 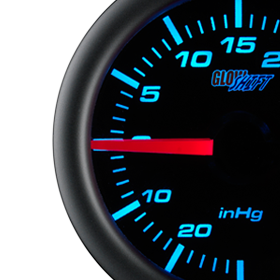 GlowShift includes installation instructions as well as a one year limited warranty and free lifetime technical support with each purchase.